I am willing to admit when I am wrong. I have not been as in-tune with the DSE as I should be. Yesterday, I posted about an NFC bootcamp and how the ‘industry’ does not focus on the right things. I still maintain that there is not education enough around or willingness to learn/adapt social media into the content mix of digital out-of-home solutions (but that’s for another day and for time to only tell). However, the DSF (group behind the DSE) has gone to great lengths to educate those within and outside of the industry around important tenets of communication and connections, of which social media and emerging technologies like NFC fall within. Hey Mike, In case it was not previously clear, DSE 2012 will offer a variety of educational opportunities on how social media can help ignite DS messaging to better engage audiences. In case you did not see it, there is a half day session on Tuesday, 3/6 entitled “Mobile Models You Can Believe In” (See http://www.digitalsignageexpo.net/new-mobile-models-you-can-believe). On Wednesday, 3/7, Session 11 “Mobile Campaign Integration with DOOH” also addresses social integration with DS, along with other options. Also on Wednesday, Session 6 “Creating a Multi-Screen Strategy: Connecting DS to What Matters,” also deals with mobile convergence and ways to leverage social media with DS. As a matter of fact, mobile strategies and the whole issue of convergence is a common thread that runs through most of the seminar sessions. This entry was posted in Digital Signage and tagged DSE, Mobile, NFC, Social Media on 02/13/2012 by Mike Cearley. Dealing with Unruly People, Oh Joy. Don’t overreact – breathe. I’ll say it again, breathe. Step back from the situation and get your wits about you. The worst thing you can do, as someone who engages with your community, is to let your emotions respond to the situation. Your brain should respond to the situation in most all cases. Put things into perspective – often, especially in times of crisis, it’s hard for those closest to the community – that is the social media team or the community managers – to gain the proper sense of perspective. It’s easy to think if one or two people are causing a ruckus, then the same feeling reverberates across everyone in the community. And a response is needed immediately. This is not the case. As much as you can, look at the community as a whole compared to the unruly people at any given time. Understand who is talking – this is extremely important. Everyone behaves differently in social channels. Some people talk. Some people only share. And some people are just passive observers. Before responding in any way, understand who that person is, who they influence, how active they are in the social channels, and even more, what their personality is in those channels. If they’re constantly snarky and antagonistic, then it should be of no surprise when they are that way with your community. When thinking about how/if to respond to someone like this, detail these things out for the team. All of this context is important to help dictate the proper course of action. There is a sense of immediacy that comes along with social media. In fact, responding/engaging in a timely manner is actually a responsibility. But this does not mean that the urgency should dictate the level of thinking, researching, and communicating needed to properly address the circumstance. Now, with social media, anyone can create content and more, technology has enabled it to be shown anywhere, on any screen. The less controlled the content is and the more channels it is distributed on, the greater attention we all need to place on the finer points of relationships and communication. Always be the voice of sanity. This entry was posted in Marketing and tagged relationships, Social Media on 10/04/2011 by Mike Cearley. #1, it’s simple. There is absolutely no time/effort spent on content creation. Yes, they have to filter comments, but if there is human involvement, it’s not much. #2, it’s coming from the right place. Simply, if a brand is coming at the experience and/or engagement – regardless of channel – from the right place, they’ll get credit. Regardless of any specific negative comments that might come their way. Domino’s has made a pledge – as a brand – to listen to their customers to get better. What can be a better place to come at it from? The community recognizes this and Domino’s will get credit, sales, and ultimately loyalty by being open. Remember, people want a say. Domino’s is going full tilt and giving it to them. Then, using it to make their product better. #3, it’s big and out in the open. There’s no hiding from anything on any of those screens in Times Square. Not only is Domino’s being transparent by broadcasting these comments, they are putting those comments front and center for everyone to see. This is just another example of them showing how committed they are, as a brand, to improving. And in the process, kind of innovating. In the digital signage industry, the concept of utilizing social media as content has seemed either a) intimidating and/or b) incompatible, to the point of not using it altogether. For whatever reason. LocaModa seems to be one of the only companies who has whole-heartedly embraced it, enough to build a thriving business around it. I wrote a post the other day about fundamental human behaviors that are critical inputs to us as we create engagements using social media channels. I believe those behaviors apply to any marketing or communications across any channel. Including Out-of-Home (OOH) and digital signage. Often times, I feel like the industry doesn’t know what to do and/or how to sell these screens that broadcast in public places. In the end, it probably always comes down to a question of content. While we see (and will continue to see) many examples of creative content being produced by brands and broadcast across various channels, it’s important to recognize that consumers, themselves, are creating buckets of content about the brands they love everyday. So, from a strategic POV, why not tap into this? Brands will always open themselves up for negative comments on any social channel – be it online or off. More channels and more screens don’t alleviate that possibility. Those channels only give those voices more of a chance to be amplified. But this is not something to shy away from. Unless the brand is completely averse to change. Almost always, the community wins. And not a single individual within the community, but the community as a whole. The brand is an enabler and a participant. That’s pretty much it. Next time you’re sitting around trying to think of the golden piece of content, it might be right under your nose. In the social channels. Don’t be afraid. 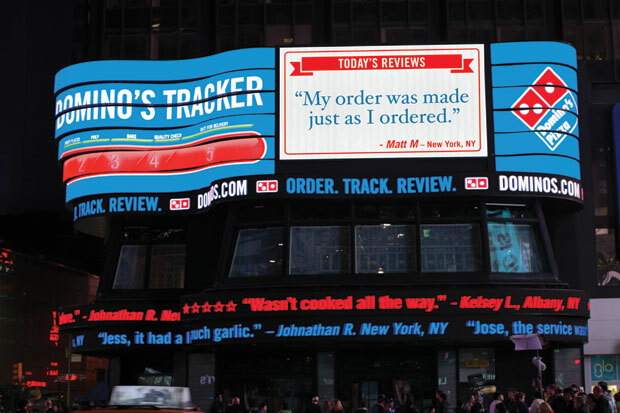 This entry was posted in Digital Signage, Emerging Technology, Marketing and tagged Digital Signage, Domino's, LocaModa, Out of Home, Social Media, Times Sq on 07/26/2011 by Mike Cearley. Excellent talk. Read through for some real gems!! It’s interesting because we’re here to talk about DOOH at a time when everything is digital. Show of hands from the audience – how many people are NOT carrying a smartphone? Literally 2 people. Wow. Everyone of us is walking around with a computer in their pocket. The world has changed. Digital is a part of our lives. It’s not new. The ability for people to connect with each other and amplify their voice, at scale – that is new. Speed and scale. It’s worldwide. Watson (yes, the computer) – natural language processing. Pure research + applied science + showmanship (practical ways to use digital tools to make people’s lives better?) = the business we’re in. What is a sign in 2011? Could be a TV, could be sign, could be anything we want it to be. (This is what I’ve been talking about – places & things around us have the ability to be turned on.) But what we have right now is analysis paralysis – everyone’s got their own interpretation and it’s different from everyone else’s and it’s is causing schizophrenia. All technology is meaningless unless it changes the way we behave. 18 mos. ago, there was a proportional screen rule that was absolute – small screen – short content, bigger screen – longer content. Now, anyone will watch anything on the best available screen. Now, people are taking their TVs with them. That’s new. iPad is the 1st of a zillion tablets to come out. Motorola Xoom is an iPad killer. 2 computer chips instead of 1. Full screen HD. 2 cameras. All Googled up with Honeycomb. Will it actually kill the iPad? No, but for a certain group of people, it will become THE tablet of choice. Difference between 3G & 4G – we’re at a tipping point that is unprecedented since 1847. We’re about to go from 3G to 4G. It is literally the difference between the pony express and the telegraph. Huge sociologic change. It took 5 weeks for someone to get a message. Now it takes less than 5 seconds. Huge. 3G takes minutes, 4G takes seconds. Are you guys ready for that? We’re still trying to figure out where to put the signs. How to network the signs. Blah, blah, blah. People are picking up their signs and walking around with them. Traditional DOOH is a lot like old school TV. Something he’s working on right now – LogoVision – has every logo in the history of the world in their database. Consumers take a picture of the logo, it delivers content. Can take a picture of any logo on any sign – TV, digital sign, poster, etc., get content instantly. Think about how “instant” 4G will be. This time next year, you won’t be able to buy a 3G device. All will have 4G, means getting content/data will be 6-8X faster than they are now. People now like texting. Consider email a formal letter. What’s better than texting? Taking a photo/pressing 1 button. The computer does the work for you. What’s that? Oh, Watson. You see where this is going? Speed, scale, convenience – technology is meaningless unless it changes the way we behave. How do we behave? In the way that is most convenient. “The #1 show at 10PM on Friday night is TiVo.” – Jeff Zucker. People make choices, we’re empowered now with technology. We’re living in a connected world and very quickly we’ll be able to argue – there are 2 types of people and 2 types of tech – connected or not connected. How does a sign help you? How does a network of signs tied together that disseminate valuable information help you? That’s our challenge. We’re an old medium today. People are taking their signs with them. Another show of hands – how many of you guys have Google Alerts set up for the information you want on a daily basis? Only 10% of people, if that, raised their hands. This does not surprise me. Now, he’s going off on the audience – you’re in “digital” signage/Out-of-Home and you’re not even using the tools for yourself. How do you not do this? 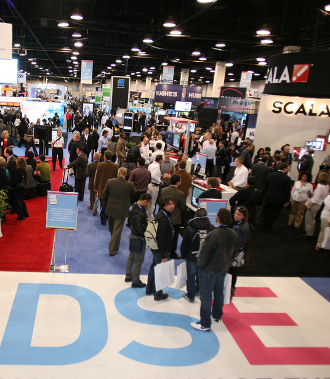 It’s unacceptable that you’re at the Digital Signage Expo and you’re not digital. Who do you sell to? Helping the industry move forward requires 2 components – 1) how to present this industry to buyers? Retail has forever changed. Borders couldn’t compete digitally. They didn’t keep up. They, like so many people, believed things will work themselves out. Do not fall prey to the idea that anything is going to go backwards. What’s the penalty for being late? The penalty for being late is business death. How do you filter the paradigm shifts from the parlor tricks? You personally apply the filter based on your experiences to the question – is this going to change people’s behaviors. Digital signage industry – hire armies of developers to work on platforms because that is where you’re going to win. Nut – and I quote, “He who is closet to the point of sale wins. That’s always going to be true.” Now people are bringing their computers to the point of sale. And they’re connected – to each other & brands & information through technology. And the best, “Not about hyperlocal, it’s about hyperpersonal.” This takes some sort of engagement and interaction. This is what it’s all about. Quote of the session – Now, the only people who like change are babies in wet diapers. This entry was posted in Digital Signage, Emerging Technology, Mobile and tagged Conferences, Digital, Digital Signage, DOOH, iPad, Live Digital, Mobile, Shelly Palmer, Social Media, Technology, Xoom on 02/23/2011 by Mike Cearley. Back in Dallas today after a whirlwind tour this week. From New York, I flew to Detroit for meetings, then finally made my way home last night. Just in time to see my kids before they went to bed. I’m such a homebody. I love being in my home around my family. My wife and I just sat in silence and talked. It was nice. Now, here we go again. Back at it. As I’ve said before, the one thing that I don’t like about live-blogging events is that I don’t really get to put my commentary on what I’m hearing. I sprinkle things in here and there, but for the most part, I haven’t found a way to successfully manage that part of blogging events. I think there’s a lot of value to get down what others are saying so all of you can get a glimpse into other perspectives. That’s the primary reason I approach conferences and live blogging the way I do. Do you find value in that? I would love to know if I’m off base. 1. I heard multiple times something along the lines of “merging the offline with the online.” This, of course, makes my ears perk up because I want to see how other people are thinking about this concept. It’s clear that people have an intuition that this is becoming more prevalent and possible, but noone talked about any other “screen” than the mobile phone in relation to “walking down the street.” If we think there is a huge need for education in the “digital signage” industry, I’m here to tell you there is a huge need for education across the board. Agencies like mine even have a hard time understanding a) what the “new” OOH is and more importantly, b) the potential of it. Yes, it includes mobile, but it’s much more than mobile. It’s much more than “digital signage,” too. 2. I enjoyed hearing much more talk centered around relationships than platforms. I believe whole-heartedly this is the right way to think about brands touching people. It’s not so much what brands touch people on (platform or channel), it’s about how they touch people and with what (content). Brands need to look no further than what’s already happening on each “platform” for how people naturally use them. The platforms are already being used and used in a way that allow people to connect (in the way they want to connect) with others and build relationships. If a brand is going to be successful in today’s ecosystem, they (and the agencies that support them) should understand that to be sustainable, you have to focus on the relationship, not the platform. Same thing with “digital signage” – it’s not about digital signage, it’s about using this technology in a way that it actively builds relationships between brands and consumers. It’s powerful if used properly and ineffective, just as any other channel, if not. 3. Today, more than ever before, people/brands/agencies are making things up as they go along. This is a new era and people have to come to terms with the fact that there might not be any “example” of a particular type of work – social, mobile, and/or OOH. This is exciting and daunting, for sure. This makes relationships and trust more important than ever – not only with communities, but between agencies and clients. It’s important to think things through and do as much due diligence as possible, but in reality, we are (literally) all learning together. Be smart. Be brave. 4. If you want to be successful in “social” – and this is for anyone – brands, businesses, bloggers – don’t make everything entirely about YOU. It’s not. You and your contribution are certainly important. The way that you contribute can make or break you. It either builds trust or breaks it. But it’s important to recognize your community. Think of ways you can do this. People just want to belong to something, and they’re willing to have brands involved, too. Just as long as it doesn’t become a selfish act and “pushing” anything in their face. If someone asks, “what should my digital crisis management plan be,” your first question back should be – “Do you have a regular crisis management plan?” The approaches can’t be independent of one another. Brands and detractors have the same tools. Those detractors are smart and resourceful. If you do not have a social presence and a voice right now, start creating one immediately. Don’t wait for a crisis to start developing relationships. Again, if you’re not doing this right now, start immediately. There are no “special” crisis tools to use in a crisis. Use simple, common tools that are at your disposal all the time – search, legal council, email, and your website. When faced with a crisis, remember 2 simple things – 1) overcommunicate and 2) don’t make the problem worse. “Duh” – I don’t know if anyone else is tired of it, but I’ve just about had enough of all of this social media speak. I am around it all the time and we always joke about throwing around the buzzwords – engagement, listening, Facebook, Twitter, funnel, interesting intersection – ugh. I tried to separate myself from my body and “hear” what people were saying to me and I just thought, this is disgusting. We should ban those words (not just the above, but all of them. Good resource HERE) forever. Call me out, too. It’s easy to get sucked in and start speaking wah, wah, wah, wah, wah. Enjoy your weekend, everyone! And thanks for reading! This entry was posted in Friday 4-1-1, Marketing and tagged crisis management, Facebook, Friday 4-1-1, offline to online, PR, Social Media, Twitter on 10/08/2010 by Mike Cearley. All things digital should be grounded in community. Big shift in how “digital” has been thought about in the past. The amount of time and effort that goes into this can’t be about the platform. It’s understanding that we need to manage an ecosystem of relationships. Showed their “Engagement Protocol” – Listen, Set Objectives, Asses Influencers, Define Participation/Content Strategies, Develop, Measure/Optimize. Who owns SM – PR or advertising? Some of the challenges for ad agencies is what it means to develop and manage things like editorial calendars. PR also has advantage of being able to craft messages around different scenarios. Gillette Fusion ProGlide case study – their community management started long before the “launch.” Approach a combo of “influencers” and consumers. Panelist – Deirdre Sullivan (MWW) – consumers are no longer influenced by branded ads. Users are now turning into valuable contributors. There are a zillion conversations out there in many different communities. How do you join the conversation? 1. Build social capital – present yourself as a trusted source/authority. 2. Become influential – if you want to attract other influencers, become one yourself. Create content. Speak your mind. 3. Develop strategic partnerships – you don’t have to “pay” to play. 2. It’s all about RESEARCH – more and more agencies are beefing up their research staff. 3. 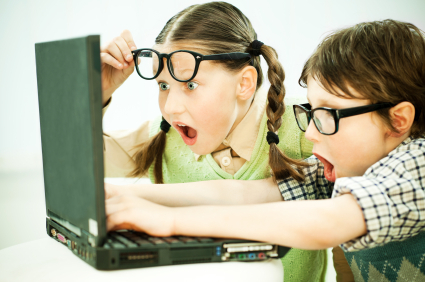 Do the math – Web analytics + social analytics. Been doing community for 10 years now. She works w/ PR & marketing within Sega. Most of the time, it’s the same content, just framed/said differently, depending on audience. Measuring return on “new” marketing is about measuring more of the intangible vs. the tangible. Big shift. It’s important to evaluate your current measurement tools. Do you know how to use them? If not, get a hold of the vendor and ask them questions. They probably have webinars. Questions – how many people do you have working in your SM dept? Kellie – there are 3 of us. Have a staff member in London. Helps for time zones. They’re active 2/3 of the day, which is a great advantage. Small, scrappy team. Question – a lot of times there is no one on the client side who is an advocate and not willing/able to run communities, what’s your perspective on “selling” it in to the client and managing the community? Stephanie – from a community management perspective, there are CM’s on staff, fully disclosed as PN staff. Ideally, there is someone on the agency side who can own, or halfway own, community management. There can be a hybrid, too. From thought-leadership perspective, you can always partner with SM influencers – have them guest blog for instance. Approach from content-management, story-telling perspective. 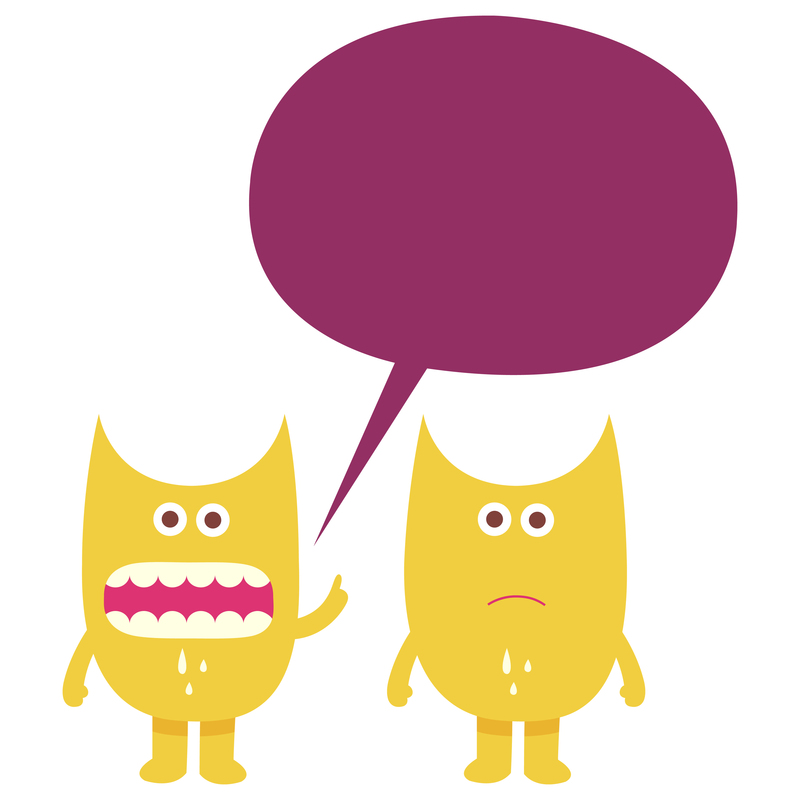 Question – What’s your view on sentiment analysis on listening platforms? Kellie – it’s good and bad. Quick look, finger on the pulse. You’ve really got to go into the conversations and see what the real sentiment is – if you want to do a good job of managing the community. Understanding this can even affect business b/c you learn what people like/don’t like and then can filter than information back to the right people in the organization. This entry was posted in Uncategorized and tagged Conferences, PR News Digital PR Summit, Social Media on 10/06/2010 by Mike Cearley. Lunch Keynote: Social Media – What’s on the Horizon? “What I’m going to say is probably not that cool.” (But she’s got cool boots on). It’s not about the next Twitter or FourSquare. It’s about understand how people use online communications and bringing a little structure and focus on how to use social. It’s about creating tactics NOT around the tools – not platform specific. Focus on these things first – need to have these things in place: SMP and ID how organization is going to be structured around SM. Find an opp to showcase what you do best. Many times, you’re going to be the first company to do something in this space. That’s a GREAT opportunity. Meet a need in an innovative way – #journchat – online weekly community dedicated to making industry better, networking. Ask them what they want. Give them what they want. If you ask people what they want, you have to be prepared to give them what they want. Don’t underestimate mainstream or traditional media. Generate A LOT of quality content. Do it for a good cause. She talked about her Blogworld ’09 experience & Beat Cancer initiative. Questions – what do you think about the recent Gladwell article in The New Yorker? (Impacting “real” social change.) She doesn’t necessarily agree with it. Social media is another tool and it can work and it can be valuable. If it works, it works. Question – Can you talk about the Crisis Center experience? Crisis center came to her and E.D. said, “I heard you do something w/ computers. The shelter is way behind on payments owed to the state.” So, they launched a letter of support. E.D. said they used to have reporters come in and tell about their experience staying the night. So, Sarah said she would go in and stay the night and tell her community about it (Crisis Overnight). This was the first time she asked her community for anything. $161,000 raised over 3 weeks and the doors remain open. Question – Tips on how to build relationships w/ journalists online. What works the best is real, engaging conversation online. If you find something that they’ve written that you like, tell them about it. Question – smaller groups/non-profits workflow re: social media. Should we hire an intern to run social media? Think of dividing responsibilities with current staff. And change as regularly as needs to change. Sometimes, unions can change what people can/can’t do. But if you can adjust job descriptions, you should explore. Panel #1 of the day at the Digital PR Next Practices Summit – IMO, the best part is the questions at the end! From her perspective, on the Communications team, it’s important to hire marketers. Need to think like a marketer. Important that Marketing doesn’t see Communications as the enemy. Also have graphic designer, who is really important because he/team can create things and talk the talk. Lee – I think he said they don’t hire interns for community management (“Twitern”) (mic is way down right now) – it’s a temptation b/c they understand social media, and they’re low cost, but they don’t understand your brand intimately. It creates problems. Difference between social networking and traditional communciations – you don’t have the time to craft a perfect response. Don’t yell – you have to have a voice that’s consistent with your brand. Your team is not an island – need to be in tune w/ the brand teams, they need to be aware of the social team. Have a plan – it’s important to have a plan before the “fire” starts. Make sure people in the company know it. And are comfortable with it. It’s important to get the social team pushing/looking ahead so they stay relevant. And they need to communicate that knowledge with the other teams. Diane – they re-structured a couple of years ago and added a “PR” department where social media teams were just part of it. Teams are: Public Relations, Corp Comm, Issue/Brand Mgt, Mktg/Advertising/Internet Services. They have “Digital Sponsors” group with representatives from each team. They just hired “Digital Media and Syndication Director.” Others in the Digital Sponsors group – Internal Web Capability, Digital Engagement Svcs, Digital Mktg Strategy. When they re-organized, they changed everyone’s job description (even the traditional PR practitioners) to include social media capabilities – they listen/monitor, pitch bloggers, engage in conversations, correct misinformation, & facilitate service recovery. Questions – how are you finding talent? Is it better to find someone more experienced in PR strategy or someone with a digital background? Mary – in this field, they don’t have to come from a communications/PR background. Some of this is very much learned. If you find someone who is agile, risk-taking, and willing to learn – we’re willing to bring them on and train them. There’s a whole bunch of people who want to get into this, but they haven’t done anything. It’s about finding the people who have done things. Holly – It’s nice to find people with strategy experience – how to get your story out overall. Having a silo’d expertise around social media might not have the impact for the brand that you want. Good to have balance – risk takers and nay-sayers. Involving legal team early and often works well for them, too. Question – What if you’re a team of 1? What are some strategies for building a team? Lee – the best thing you can do is show leadership the conversations that are happening. If you’re not participating in those conversations, then who is? Holly – listening is really critical. They create monitoring report each week and share w/ team + C-suite. The more you’re in it, the more you see opportunities to engage in it. If you try to address everything in the social space related to your brand, you’re never going to sleep again. Question – How did you develop the “right” voice? Mary – starting about 2 years ago, they had so many people tweeting on their behalf so it’s going to be a little bit playful/different. A lot of brands make their brands synonymous with 1 person – they don’t agree with this b/c eventually, that 1 person is going to not be there. Question – 3 key characteristics of a candidate. Holly – 1) skeptical of anyone who tells me they’re a guru or touts themselves like that. We all have a lot to learn and in reality, we’re all making it up as we go along. Anyone who claims otherwise, is wrong. 2) there needs to be a balance between willingness to take risks and challenge the status quo. Have to acknowledge the PR landscape is not the same as it was 10 years ago. 3) pragmatist – it’s not all puppies and kittens when you go out in social media. You need to be aware of what’s out there and be able to approach it from a realistic perspective. Lee – 1) communications background – need to be able to communicate 2) understand there is a measurement aspect 3) they need to be likeable. They’re going to be conversing with people, they need to be likeable. Question – does it matter if the staff is in the same building? Holly – I don’t care, but ultimately, news is occurring 24/7, so as long as they’re on it, it doesn’t matter where they are. Mary – You can coordinate your efforts without being in the same spot, generally speaking. Question – where things are shifting for your team? Mary – content creation – searchable, working with marketing, web development. Lee – integrating the social conversations into all forms of communications. Holly – content creation, overall, is foundational to everything they’re doing. The more content they can create that is shareable, the more it’s going to help them. Video is a critical piece to sharing their story. They will focus on this over the next 3-6 months.